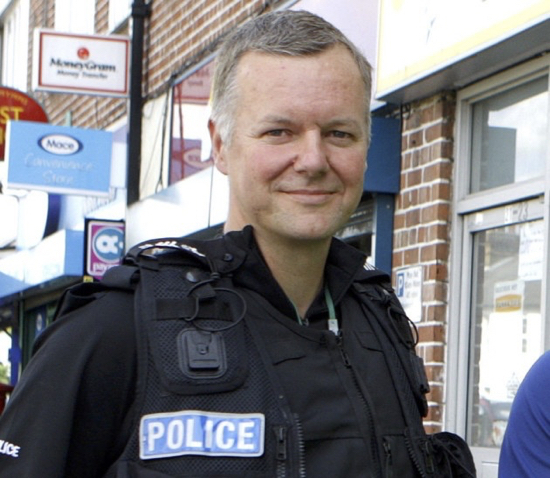 The police officer in charge of the local Neighbourhood Watch and head of the Safer Neighbourhood Team, Sergeant Stephen Hynes, has sent his last email message to local residents via the OWL (Online Watch Link) service. Sergeant Hynes is well known for his proactive attitude to policing and his humorous writing style. He regularly broke with tradition moving away from the old-style language of police news releases and, instead, issued fresh and engaging updates. And here is his farewell message, sent out on Tuesday afternoon 22 January 2019. I started this OWL news thing, because I wanted you to be informed about what we were doing. To make you feel more safe, knowing we were there, helping and protecting you. To dispel the myths about where the Police are.To show you what we actually do well and to counter the tabloids and local social media. I think that has been achieved. We cant always get it right, all the time - we accept that. In my nearly 30 years, I have had a fantastic career, mostly as a Detective investigating the most serious of crime. You never saw me doing that, but I was there for you. You didn't see me arresting numerous offenders for the worst imaginable crimes, but I protected you and your families by doing that. You didn't see me with my intelligence team as we failed to allow over 100 stolen vehicles get to the far east for deployment in warfare. Nor did you see me prevent the distribution of money and drugs in Hertfordshire and beyond, in bulk. You haven't seen what I have, and thank God for that. I will never unsee it. The Job is over for me, I am leaving. This is my last message and I wish you all well. If there is one thing I can ask of you, it is please to support YOUR Police. The Police are the People and the People are the Police. I'll be one of you very shortly; The team here work so hard for you . Help them out, be kind to them and offer them a hand. One day, you might need theirs. With all the kindness and best wishes to you and all your families.